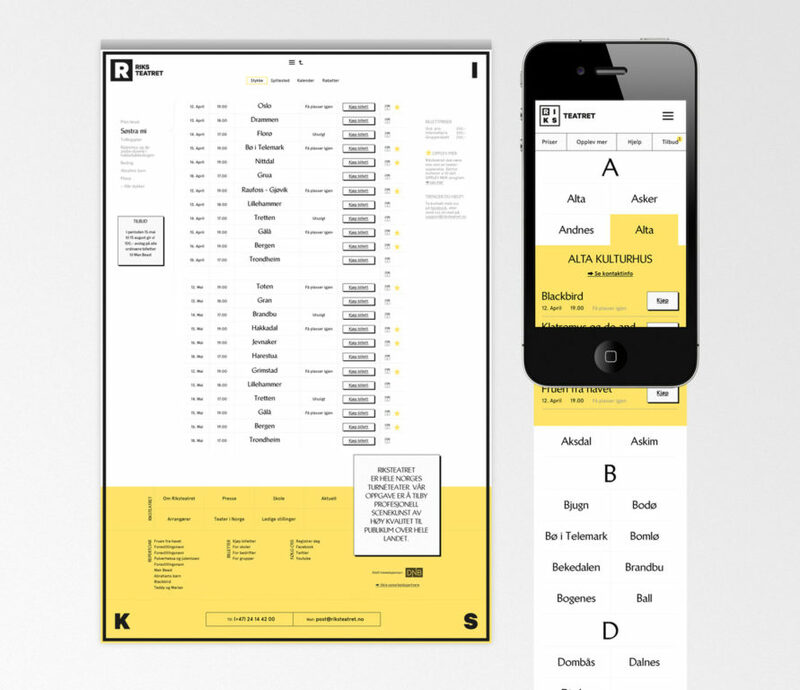 Interactive identity and service design for Riksteatret, the national touring theater of Norway. A modern responsive website and of course fully working and adapted for ipad and iphone was delivered as the final part of their identity. The website relies heavily on direct communication with a timeless design as it communicates with a broad target group in many ages. Design: The website reflects the professional standards of Riksteatret. It is based around the plays and striped for unnecessary information. The chosen color scheme is taken from the theaters identity and used to highlight important info. 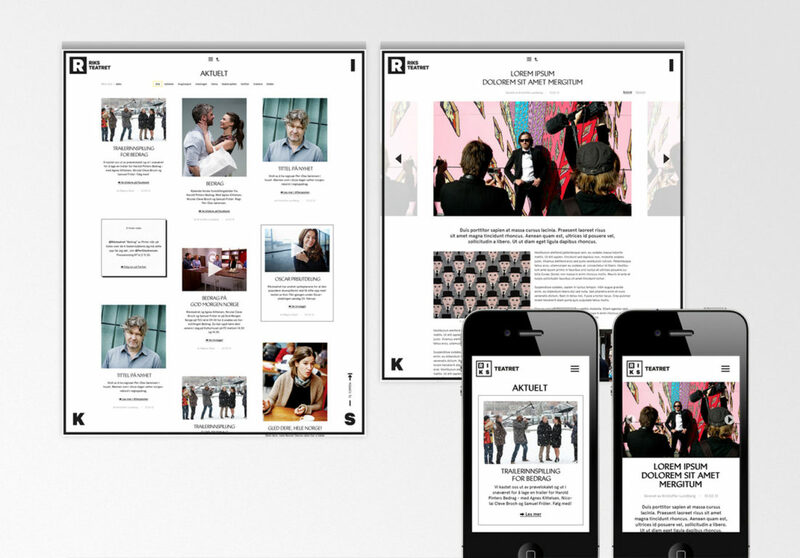 The fonts Brewery and Apercu complete Riksteatrets online identity. Technical info and prospect: We see this website as an ongoing development. E.g. during 2014, the website will be enhanced with add-ons such as an interactive map over tour-buses, article-section with social media feeds and the possibility to sort content.